Alana Clifton-Cunningham is a professional designer of fashion and textiles. She lectures at UTS in the School of Design. Her practice-based research focuses on the social, political and symbolic significance of knitwear design within a traditional and contemporary design context. Alana also examines perceptions of knitting and its relationship to the human body as a second skin. Through challenging assumptions of knitted clothing structures and combining traditional knitting techniques with new technologies and materials, Alana creates wearable forms that mask and disarticulate the human body. Alana is passionate about collaboration from alternative design disciplines and is interested in new technologies and methodologies. She is intent on documenting Australian fashion and textile histories, specifically the Australian knitwear industry. At UTS, her lectures are on couture practices and knitwear design within a contemporary design context. She has lectured at UNSW’s College of Fine Arts and presented conference papers at RMIT Melbourne, Curtin University Western Australia, York University Canada and The Hong Kong Polytechnic University Hong Kong. Alana continues to work collaboratively on various projects and exhibits her work nationally and internationally. Out of Hand: Materializing the Digital surveyed over 90 objects and artworks by more than 60 artists, designers, scientists and architects utilizing digital manufacturing. The exhibition investigated potential future possibilities of how data can be manipulated creatively within a diversity of fields including biomedical engineering, visual arts and fashion design. The exhibition opened on the 3 September 2016 at the Powerhouse Museum, Museum of Applied Arts and Sciences (MAAS) during the annual Sydney Design Festival. Out of Hand: Materializing the Digital is a new iteration of the successful 2013 New York Museum of Arts and Design (MAD) exhibition, Out of Hand: Materializing the Postdigital which was curated by Ron Labaco. Principal Curator Matthew Connell implies that the choice for changing the title to 'digital' rather than keep it as 'postdigital' was to '[…] recognize a break with the analogue world, its origins in technologies of calculation, then media and communications' (MAAS 2016a: 26). Clifton-Cunningham An 2014, 'Knitting an Identity: Can we distinguish an Australian style? ', Craft and Design Enquiry, vol. 1, no. 6. Clifton-Cunningham An 2013, 'Profile', Yarn Magazine, vol. 13, no. 31, pp. 28-31. Clifton-Cunningham An 2008, 'Second skins: challenging the conventions of knitting', Ragtrader: Australia's clothing fashion, vol. 19/09/2008, pp. 18-21. Like clothing made from woven fabrications, knitted garments and accessories are a type of nonverbal body adornment that can embody multiple layers of meaning. Critical theorists and historians claim that there are four principal functions that all clothing provides whether knitted or woven. These functions y,dude: protection -from environmental elements and to provide warmth and practicality; modesty -to conceal our body and conform to societal demands; immodesty -to demonstrate sexual attraction and availability; and adornment -to indicate our belonging to a certain cultural group or to express our individuality. Similar 10 other types of clothing, knitted garments reflect societal representations of an era, and are sensitive to constant change. Clifton-Cunningham An 2011, 're (skin): challenging perceptions in knitwear design', Get Knitted, Auckland University of Technology, NZ (Textile and Design Laboratory). Clifton-Cunningham An 2006, 'The Sock: an investigation of the sock in society', Congress of the Humanities and Social Sciences: York University, Toronto, Canada, Congress of the Humanities and Social Sciences: York University, Toronto, Canada, York University, Toronto, Canada, York University, Toronto, Canada, pp. 1-12. Clifton-Cunningham, A. & Karaminas, V. 2004, 'Off the Wall: The Florence Broadhurst Collection', Intermesh, Intermesh Symposium: Exchanges in fashion and Textiles, RMIT, RMIT University, Melbourne. Clifton-Cunningham An 2002, 'On-line teaching and learning in fashion design education: the development of a theoretical framework and new learning model. ', Fashion and Textiles: The New Frontiers - Design, Technology and Business, Fashion and Textiles: The New Frontiers - Design, Technology and Business, International Foundation of Fashion Technology Institutes, Hong Kong, Hong Kong Polytechnic University, pp. 1-19. Clifton-Cunningham, A 2018, 'bio_form', 2018 International Fashion Art Biennale, The Korean Fashion and Culture Association, BEAT360, 417, Apgujeong-ro, Gangnam-gu, Seoul, Republic of Korea. Knitted body piece and over-piece. Clifton-Cunningham, A, 'Silver: Bluebird', Meroogal Women's Art Prize 2016, Meroogal (Sydney Living Museums), Sydney Living Museums, Meroogal, Nowra, NSW. Clifton-Cunningham, A, 'How you see it...', Wangaratta Contemporary Textile Award 2017, Wangaratta Art Gallery, Wangaratta Art Gallery. Clifton-Cunningham, A, 'How you see it... Yugen', Wonderment, Gaffa Gallery. Clifton-Cunningham, A, '34, 30, 24, 6, 3, 1, 1', Wonderment, Gaffa Gallery. An, C-C, 'Topographical Complexities Portfolio', Ffty Shades of White, Craft New South Wales, Craft New South Wales, The Rocks, NSW. Background - With mass production and fashion flooding the market, traditional arts and crafts such as embroidery have recently seen a decline in their adoption. This has been mostly due to the laborious process of making involved. The opportunity to create a piece of work for this renowned embroidery competition allowed me to link it to my research, which investigates components and `fragments' of dress that are often overlooked. Contribution - The research addresses two questions: 1) How can fashion designers refocus on elements or components of design, and incorporate sustainable elements within the making? 2) Through an examination of the details in fashion garments, how can traditional methods and techniques of making, such as embroidery, lead fashion designers to explore new innovations? Through addressing these questions, the design work and research focusses on various considerations of design with a sustainable outcome, while utilising a traditional technique of embellishment such as embroidery. Significance - The research and outcome for the International Hand and Lock Embroidery Prize for Embroidery competition and exhibition is significant in that it is the first of its kind to look at components of dress, rather than the overall garment or fashion outcome. Creation of the work provided an opportunity to test how components of dress could be reconsidered by designers, when creating fashion at a variety of market levels - the possibilities, potentials and reality of applying traditional and innovative methodologies in contemporary fashion practice. The Tamworth Textile Biennial is one of Australia's most respected and high profile national textile survey exhibitions. 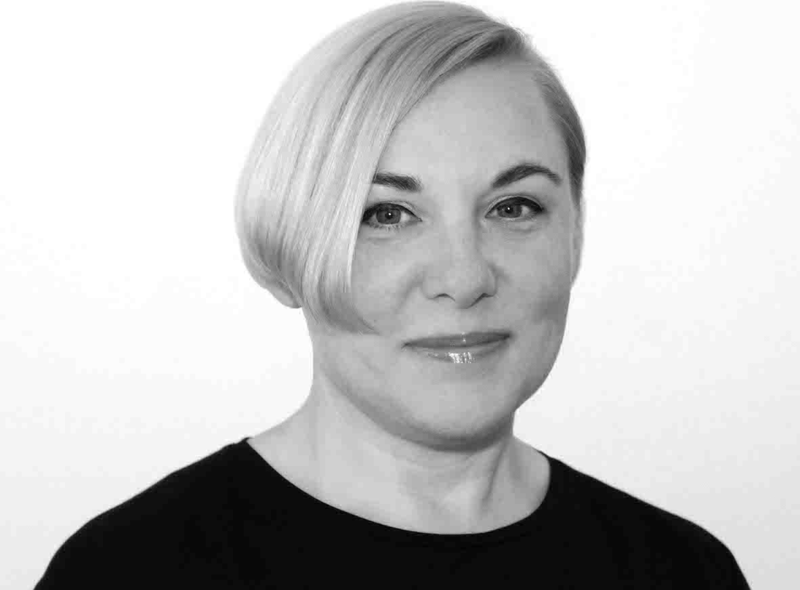 Momentum: 18th TTB was curated by Valerie Kirk, Head of Textiles, Australian National University. 25 exhibitors from across Australia were selected from approximately 200 applicants. Knitting is a form of constructed textiles that has the capacity to be manipulated and moulded into 2D and 3D forms. My current research investigates the relationship of knitting as a form of second skin to the human body. My work primarily uses knitting as a medium to create forms that wrap, cocoon and, in some circumstances, distort the human body. Second Skin: Armsling, Gloves, Muff and Neck Pods explores the place of knitting in a fashion context. It looks beyond traditional conventions of the form, using knitting as a medium to create 'body pieces'. Through focussing on the types of shapes and silhouettes that can be worn on the body, 'Second Skin' extends current applications and understandings of knitting in a contemporary fashion context. The work also investigates the space between the body and the garment, an ongoing area of investigation in contemporary fashion instigated by the innovations of Japanese fashion designers in the 1980s. The research contributes to the investigation of the relationship of aesthetic and material dimensions of contemporary textile practice. The exhibition toured extensively to key regional galleries within Australia from November 2008 until December 2010. Background Visible Markings: New Knitting is concerned with the interaction between traditional and contemporary knitting techniques, exploring the knitted form as a kind of âsecond skinâ. Knitting here functions as a vehicle for âdeconstructionâ, with familiar garment structures transformed into disarticulated âbody piecesâ. Challenging the perceptions of traditional garments and body shapes, the pieces deform and cocoon regions or portions of the human body, blurring the boundary between subject and object. Contribution This new body of work takes its inspiration from the traditional practice of body scarification, a tactile language inscribed onto the surface of the skin, often misunderstood due to popular Western misconceptions and negative connotations. Body scarring has been utilised here in conjunction with knitting as a form of symbolism exploring the concepts of gender, belonging and identity. In some cultures, scarring signifies a ârite of passageâ: sexual maturity, the journey from childhood to adulthood, or social acceptance. Other forms of scarification serve the purpose of tribal identification, spiritual protection, or aesthetic beautification. Visible Markings appropriates patterning techniques from the aesthetics of scarification to place knitting at the forefront of a politics of the body. Significance The significance of the work in Visible Markings demonstrates how designers can challenge tradition garment shapes for the body, and create pieces that have an extended âshelf lifeâ. The collection of work utilises Australian wool and explores and challenges juxtapositions of design principles. Surface details have been produced with hand and domestic machine knitting processes and challenge how the garments can be worn on the body. Everyday fashion components and elements such as the pocket, the sleeve, or the seam often become overshadowed by the theatrics of the fashion spectacle. Very little time is dedicated to the study of fashion in detail and the intricacies of high fashion become invisible in the catwalk show or fashion photoshoot. Since modern living has encouraged us to buy cheap, low quality, mass produced clothing the exhibition aims to discuss the opportunity to create high quality garments and components with a longer lifespan and that can be repaired, transformed, or be disassembled at the end of their lifecycle. Clifton-Cunningham An, 'Neck Pods', Tamworth Fibre Textile Collection 1975-2010, Celebrating 35 years, Tamworth Regiuonal Art Gallery, NSW. Knitted work that was acquired by Tamworth Regional Art Gallery was included as part of the Tamworth Fibre Textile Collection 1975-2010, Celebrating 35 years. Knitted body pieces that deconstructs familiar woollen garment structures to create body pieces that act as a second skin, wrapping, cocooning and at times, even distorting the body. The International Fashion Art Biennale in Seoul, hosted by the Korea Fashion and Culture Association, is one of the most significant international exhibitions of fashion framed as art. The 2010 Biennale was notable as it coincided with the 60th anniversary of the Korean War and the hosting of the 2010 G-20 summit, shaping the themes of the exhibition. It showcased 104 artists selected globally. The exhibition was held at the Hangaram Design Museum, Seoul Arts Centre, and received substantial press and media including coverage on national Korean TV. My participation was noteworthy as I was the only Australian invitee. 'Pauldron' explores the tensions between the residual sense of tribal primitivism associated with the practices of scarification versus the highly refined craft skills that are required in the fabrication of armour, whether it be Japanese or European. These tensions are further explored by the introduction of a new material, wool, and a new technique, not associated with the usual inert materials of armour whether they be lacquer or steel. A result is a re-gendering of the notion of protective coverings. It also re-positions the sense of decorum of inner and outer garments. As the fashion scholar Valerie Steele argued in the exhibition 'Love & War: The Weaponised Woman' (The Museum at Fashion Institute of Technology, NYC, 2006), there is a paradox in the way women's fashion consistently uses elements from warfare and military garments over a long period of time to reinvent feminine identity in clothing. The work continues my broader research investigation into the application of knitting techniques to create new body constructions and forms. two knitted garments featuring laser cut material and hand stitching. Clifton-Cunningham An, 'Cross Pollination', Cross Pollination, Red Objects (UNSW), Reserach in Experimental Design: Objects, COFA Space, College of Fine Art, UNSW. Graduates from COFA were selected as making outstanding contributions to Australian Creativity and knowledge. The exhibition explores cross-pollination in the fields of visual art, craft and design. The show includes works by: Alana Clifton-Cunningham, Lynda Draper, Nikki Di Falco, Paula Do Prado, Brenda Factor, Trent Jansen, Mark Ian Jones, Guy Keulemans, Barbara Martusewicz, John Henry Martin, Jesse OâNeill, Susanna Strati and Bic Tieu. Clifton-Cunningham An, 'Making it: 20 years of Student Fashion', Making it: 20 years of Student Fashion, Powerhouse Museum of Sydney, Powerhouse Museum of Sydney. Australia has reared a host of fashion luminaries. And while it's hard to imagine these creative titans as students, there was indeed a time before they made it. For 20 years the Powerhouse Museum has staged an annual exhibition of Student Fashion. It shows work by the most accomplished tertiary fashion graduates, providing a taste of the upcoming design talent brewing in our own backyard. Twenty years. Think of the metamorphoses the fashion world has undergone since 1993! The exhibition showcases styles by last year's standout fashion students, as well as the latest from more seasoned alumni of the last two decades, including Toni Maticevski, Gabriel Lee, Timo Rissanen and Alana Clifton-Cunningham. Clifton-Cunningham, A 2018, 'A brief history of briefs – and how technology is transforming underpants', The Conversation, Australia. Clifton-Cunningham, A 2018, 'Knowledge Exchange - Machine Knitting, Kullu, India'. This presentation discussed Knowledge Exchange and observational research that been undertaken with local artisans in Kullu, India, in 2016 and 2017. Clifton-Cunningham An 2011, 'Wangaratta Contemporary Textile Awards 2011'.